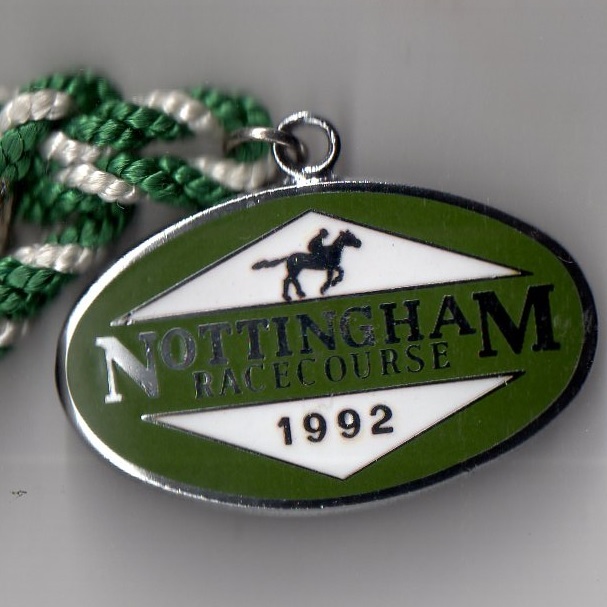 In 1689 the Nottingham Corporation gave an early indication they wished to promote racing in the area by subscribing towards a Plate which was run over a 4 mile course on the Old Racecourse at Forest Recreation Ground. However, it was almost thirty years before a King’s Plate was contested in 1717, with a Royal Plate following some ten years later on the Sherwood Forest course. The Derby Mercury reported on the 3 day meeting from Tuesday 3rd to Thursday 5th June 1753 which began with a prestigious His Majesty’s 100 Guineas Plate which saw Mr Meredith’s bay horse Bandy defeat Lord March’s Danby Cade. The main race on Thursday was the Town Plate, with result shown below. In 1777 a grandstand was opened, designed by York architect John Carr, the foundation stone having been laid on 1st February. The stand was funded by selling two silver subscribers tickets to each of 48 people who made a donation of 20 guineas or more. It was a further 20 years before part of the course became enclosed for the first time, when a figure of eight course was established. The first meeting under National Hunt rules was staged on Tuesday 26th February 1867, while the final meeting was held on the Forest Recreation Ground in September 1890, bringing to an end over two centuries of racing on that course. The two day meeting on Friday 19th and Saturday 20th August 1892 was the first to be held at Colwick Park under the auspices of the Colwick Racing and Sporting Company. A famous day in the history of the course occurred in 1931 when Golden Miller won a steeplechase in January before going on to much greater achievements. In 1933 the great Sir Gordon Richards rode a winner at Nottingham on 3rd October; not remarkable when taken in isolation, but later made remarkable because it was to prove to be the first of 12 consecutive winners, the next eleven all being at Chepstow. During the War, in 1940 the Newmarket meeting took place at Nottingham for the one and only time, with famous races like the Jockey Club Cup, the Middle Park Stakes and The Cambridgeshire run at Colwick Park. The Corporation once again took charge of the 293 acre racecourse in 1965, purchasing it for £5 million from Nottingham Racecourse Company. In 1974 Nottingham hosted the first ever race between male and female jockeys at the 1st April meeting. Lester Piggott marked the end of his wonderful career at Nottingham, riding his final winner on Full Choice on Tuesday 29th October 1985 in the Willington Handicap Stakes. In 1986 the grandstand was engulfed by fire in March, requiring an extensive rebuilding programme to be undertaken. The new grandstand was opened on Monday 27th April 1987. In 1992 Colwick Park celebrated its centenary when the New Members Stand was completed and opened by Desert Orchid on 1st February, while the final National Hunt meeting took place on Thursday 29th February 1996. Currently the course hosts 20 fixtures annually.